Oil & Butter: Gingerbread House - made of soap! 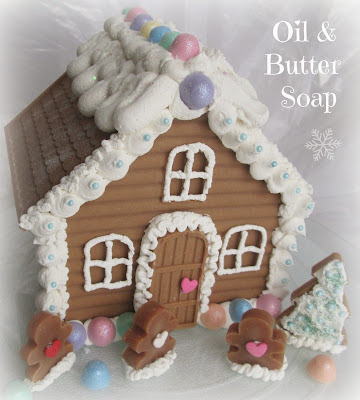 Gingerbread House - made of soap! 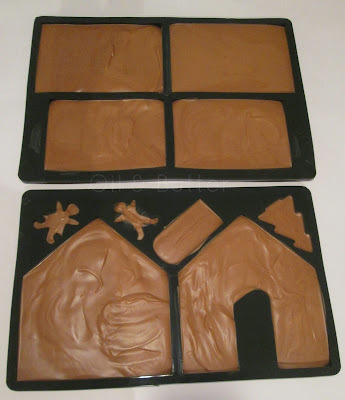 Of course, when I see any silicone mold, my mind immediately goes to soap and this was no exception. 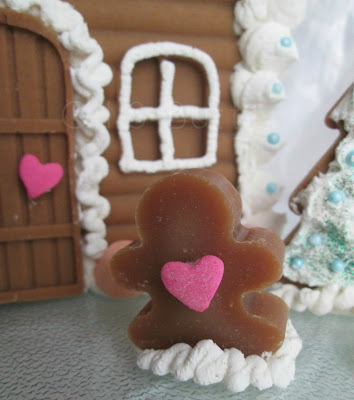 I remember seeing an adorable gingerbread soap house that Kinpira (Soaphistication) made last year, and thinking that this was something that I would really like to try. I toyed with the idea of using melt and pour for the house pieces, but in the end I thought I would like to try making them out of cold process. I knew I needed a CP recipe that would set up fast and hard, so I chose to use a 100% coconut oil recipe for the house pieces. 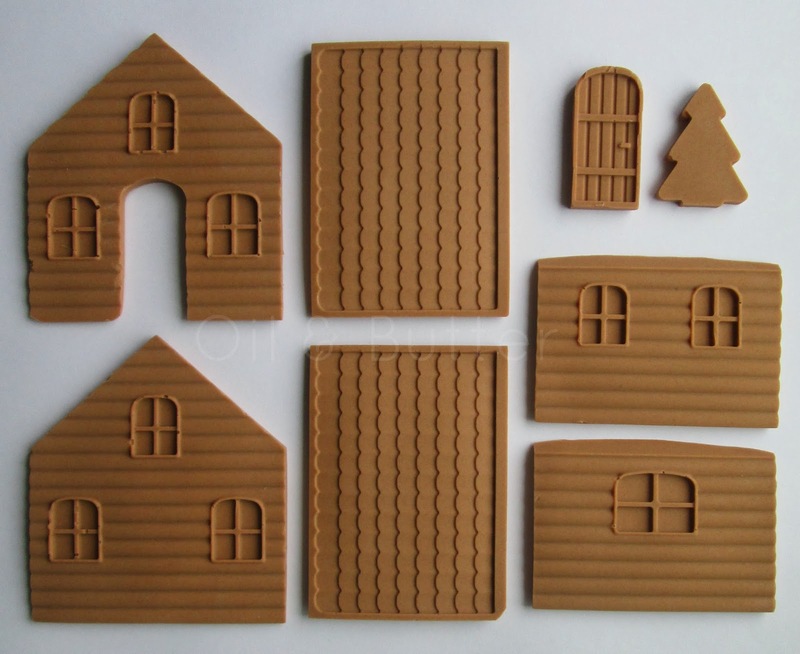 Even though I used a gingerbread fragrance that will surely turn the house pieces brown, I did use some cocoa powder to achieve the gingerbread color for the pieces. I stalled a bit when I got to the frosting. Should I use regular cold process or whipped soap? I went back and forth as to which might work better, and in the end I settled on whipped soap, hoping that the thicker consistency would give a stronger and quicker bond. Next, I carefully set about putting together the gingerbread house. 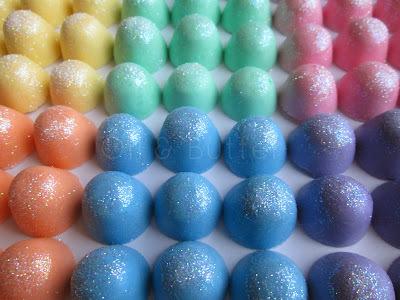 I put the whipped soap into 2 frosting bags, one with a large round tip and one with a smaller round tip for detailing. I used the large round tip to put a good amount of whipped soap on the bottoms and sides of the house pieces to hold it all together. I used cans to prop up all the pieces, including the roof. I only had one cave-in, which was kind of expected and I was thankful I only had one! Success! 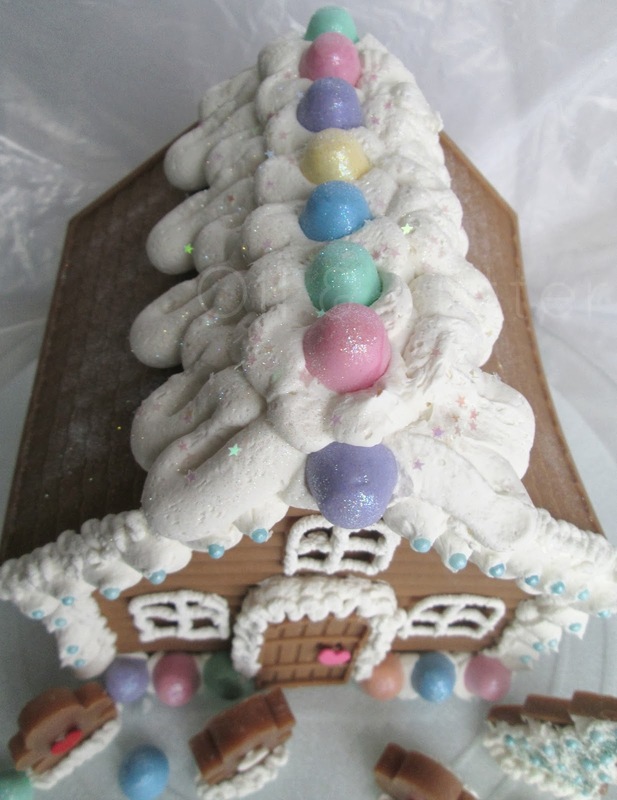 The whipped soap really did a great job holding the house all together, it was easy to decorate with but set up very firm. When my husband came home last night, I asked him to guess what it was made from. He looked it over and studied it carefully and said 'gingerbread? ', 'chocolate? 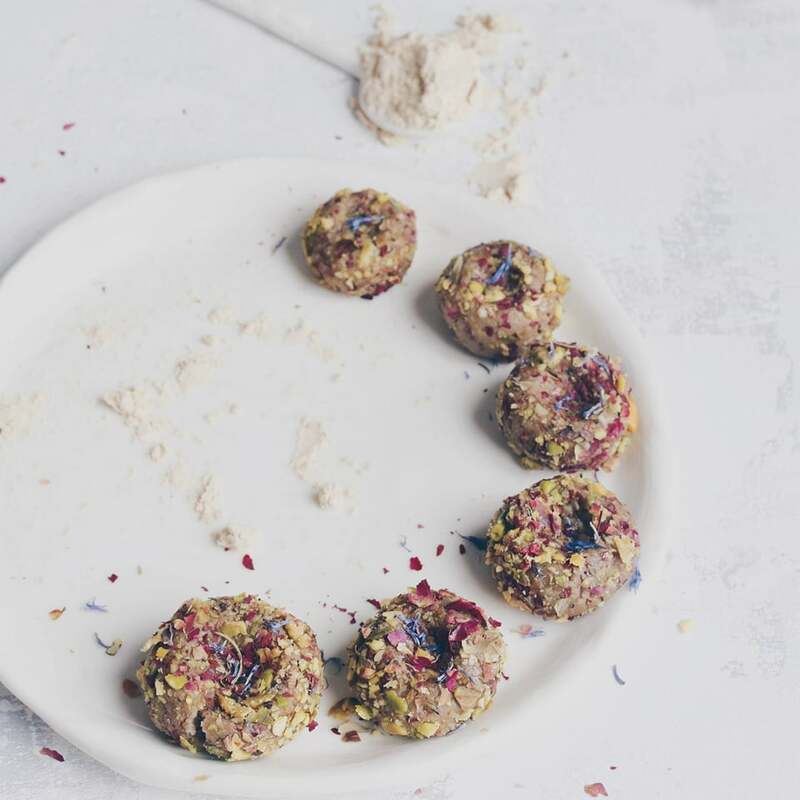 ', 'fondant?'. He was so confused because it looks and smells just like real gingerbread...lol! Thanks so much for reading...wishing you all a great week~! Wow! That is something really awesome! Absolutely beautiful little house! And cake too! Thanks Jessie! My daughter wants to display it at her craft show, and then I think I'm going to try to tuck it away carefully for next year...I'm hoping it will last! You are super talented Cee! The gingerbread house turned out perfect and the birthday cake is really special! Thanks so much Gordana, hugs! Wow how cute is that??? Thanks Silvia! The cake was very yummy, red velvet is one of our newly-discovered favorite cakes! I don't think I can add something to everyone's impression, I share them all. Super cute and super demanding, which make you a great artist. Aw, thanks Miss Diva...your encouragement and support means so much to me! I always like cruising through the dollar stores, they get a lot of cute little silicone and ice cube molds that work well for soap! A milk carton is a great idea for a gingerbread house mold too, that would be so cute and probably a lot easier! What a creative idea! 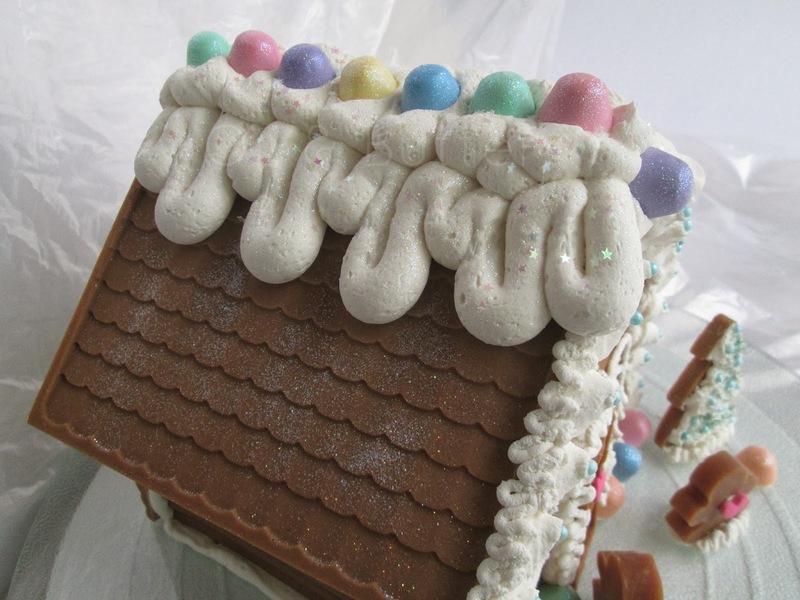 That gingerbread house looks absolutely fantastic! 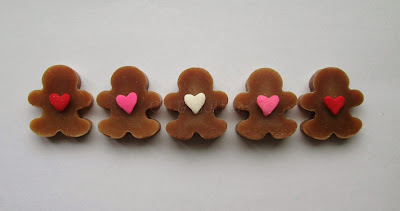 I make the cookie versions sometimes, but it was such a smart idea to make it from soap! Way to go! Thanks Chrissy! I have to admit that I usually buy the gingerbread house kits...maybe I'll get brave this year and try the real thing! Followed you on facebook and was amazed at every step! The house turned out beautiful.....what will you think of next! 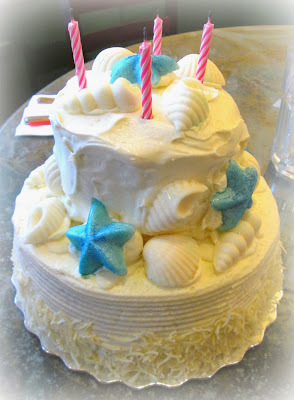 I Love your birthday cake.....may steal this one for my husband's birthday, he loves the beach! Hi Gloria, thanks so much for following me on Facebook, it was really a lot of fun! If you do make the cake, please post a picture...it was super-duper easy, but it looks really nice when it's all put together! Fantastic, Cee! The gingerbread house turned out beautifully! I don't know if I would have the patience to attempt such a project. 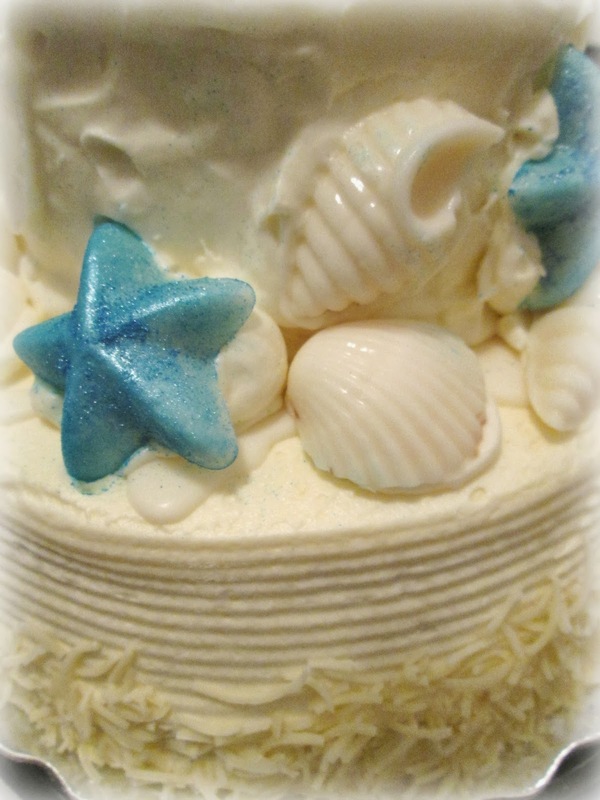 The cake is gorgeous, too! 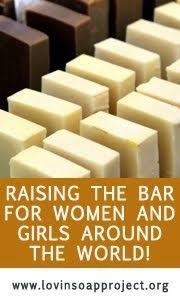 It's neat how similar baking can be to soapmaking sometimes. I can't tell you how cool this is!!!! Wow! I'm speechless! You are so talented! When I first started reading this post, I thought "oh I know Cee's going to make an amazing gingerbread soap house." I didn't realize though how incredible it'd turn out. Like all the other commenters, I am completely awe struck by your dedication and patience to make it. I'm glad you're saving it for next year because it's certainly worth bringing back year after year. YOU ARE AMAZING!!! 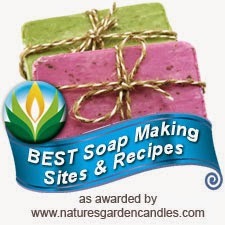 What a soap artist! I just can't stop looking at it. It's so beautiful! I was neat to see it come together in Facebook and could not wait to see the final result. I was stunned. Great Job Cee!!! Thanks Roxana - I couldn't have done it without everyone's kind encouragement! OMG Cee, you never ceased to amaze me! The gingerbread house is STUNNING. It will make a very nice Christmas pressie. Your creations are always one of a kind.. Thanks so much, I don't know if I can top this one....I might have to retire now! hi. i luv ur gingerbread house. it looks amazing. where did u buy the mold and how much was it?